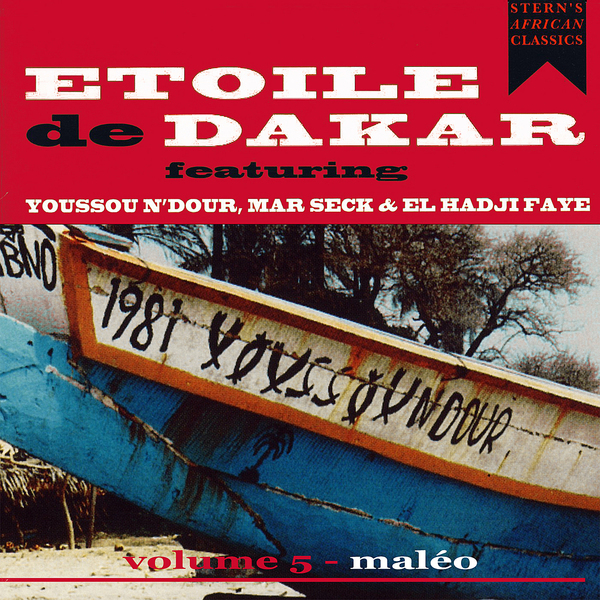 Despite Sterns having previously listed the fourth volume as the final installment of their Etoile De Dakar retrospectives, this fifth in the series has sprung up, revealing yet more of Youssou N'Dour's musical beginnings. The band as documented here was established in 1978, though the group's roots extend far beyond that: in 1960 Ibra Kasse, owner of Dakar's Miami Club joined the various members of two separate bands, Guinea Band De Dakar and Star Band De Senui, uniting them as The Star Band. Within three years of Youssour N'Dour's arrival, the group shifted its personnel to become Etoile De Dakar, one of Senegal's most successful and influential acts, reaching international fame that led them to relocate in Paris during the early 1980s. This fifth volume boasts some truly magnificent musicianship across its six recordings, with especially memorable horn arrangements and lead electric guitar playing. The band's mbalax style is applied to great effect here, though the album rounds off at a slower tempo, with the ballad-like loveliness of 'N'der'. Recommended.